We got a Guild there.. but we're not officially on the server.. The day they laugh at us , the day they did a huge mistake. They calling us a "noob" because they don't know us yet. 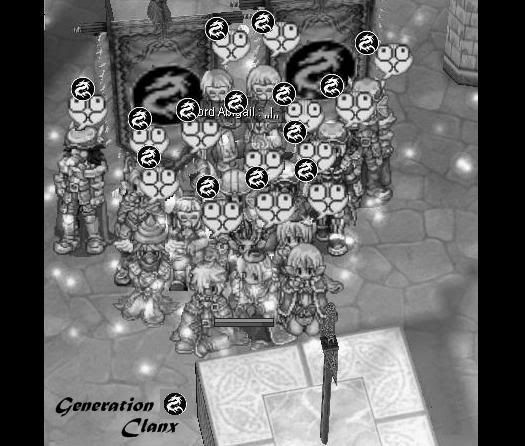 and we open to all players or other guild that want a versus with GenerationClanx guild. Please take note that we're not a friendly Guild. Deal with us and we prove you wrong. Please rifer to "War Us section"
who is the person tht do this thing ,,|,, ? ?